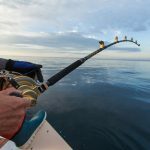 Before we get into this article, I just want to make sure you that there are often 2 meanings associated with free camping. One mean is camping for the long term and a second meaning is that the camping site doesn’t cost anything. 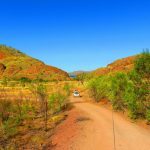 In this case, I am sharing my favourite camping grounds around Australia that are free. Yes, I am one who loves a freebie. 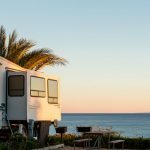 Camping fees can really add up, particularly if you’re travelling in an RV or for an extensive period. 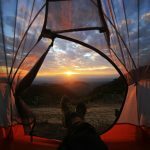 Australia has plenty of free camping locations on offer. Free camping areas usually offer little to no facilities so you have to be self-sufficient or resourceful, but you don’t have to compromise on the scenery and natural beauty around you. Here is a breakdown of some of the best free camping locations in Australia. Located 5km west of Condobolin, Gum Bend Lake is a man-made waterway, perfect for boating, swimming, waterskiing and wakeboarding. There are free camping facilities like hot showers, barbeque and picnic areas and flushing toilets. It’s a peaceful spot to spend a couple of days, and you can walk to Condobolin in half an hour. 1km south of Howlong is Howlong Lions Park. It is a peaceful swimming and fishing location within walking distance of shops in Howlong. The campsite itself offers more than 20 sites, has flushing toilets and is dog-friendly so your four-legged friends can come along for the ride. 9km north of Wauchope, tucked away a kilometre from the Stuart Highway are the impressive, Devil’s Marbles rock formation. There is a campsite at the base of the formation with more than 40 sites and flushing toilets. The campsite gives keen photographers the perfect opportunity to photograph the formation at sunrise or sunset. Although not strictly free, the modest price of $3.30 a night isn’t far from it. You will need to bring your own drinking water and firewood, the nearest place to pick up supplies is Wauchope. Just 24 kilometers Southeast of Glenden is Lake Elphinstone. The lake is a picture of seclusion and tranquility, perfect for doing some fishing or taking the boat out for some water sports. The free camping area is well equipped with flushing toilets, showers, tables and chairs and some electric BBQS. There are a couple of things to bear in mind, there is no potable water so you will need to bring your own drinking water. Also, the area is a mining area and the roads can be busy with trucks, so be careful when driving to the site. 28 km West of Stanhope you can find Aysons Reserve, perched on the banks of the Campaspe River. The river is full of shady fishing locations and the campsite is well kitted out with flushing toilets. This free campsite can get quite popular and crowded during peak times, so plan your journey accordingly. For a free camping location with possibilities for surfing, look no further than Johanna Beach. Tucked away behind the sand dunes behind Johanna Beach is a great free camping location. It can be reached by Red Johanna Road, just off the Great Ocean Road 12km before Lavers Hill, or Blue Johanna Road, 3.5km south of Lavers Hill. For caravans or trailers use Red Johanna road. It is sealed and makes for an easier ride.